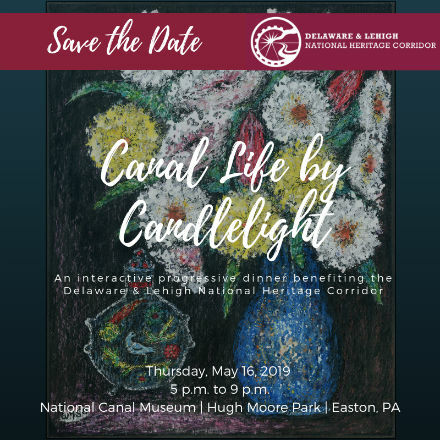 Join the Delaware & Lehigh National Heritage Corridor staff and board for a progressive, interactive dinner, Canal Life by Candlelight, which showcases how we teach schoolchildren about STEM principles using canal life and industrial history. There will be interactive exhibits throughout the National Canal Museum grounds, food and beverage stations, a tented dinner, and a silent action. This annual event is one of our largest fundraisers and directly supports the mission of the D&L. 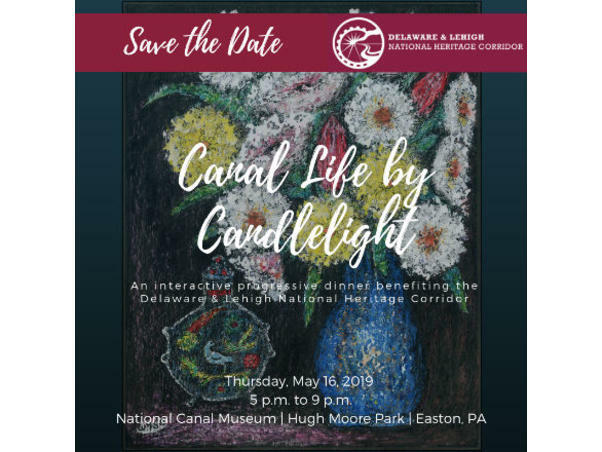 Proceeds from this event help us connect and interpret the D&L Trail, fund educational programs that teach our children appreciation for our regional heritage, and sustain the National Canal Museum and the Josiah White II, one of the last mule-drawn canal boat rides in America.